Welcome to my website. My name is Ken Borowski and I am modeling selected areas of the Clinchfield Railroad Blue Ridge Division between Erwin, TN and Bostic, NC. To view my layout, please use the menu located to the right, near the top of the page. 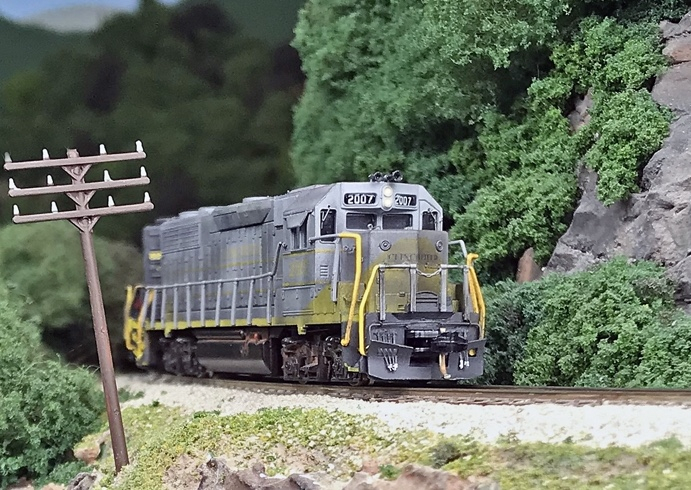 My Clinchfield Railroad layout has been featured in the July / August 2008 issue of N-Scale Magazine. It was also featured in the March 2015 issue of the Carolina Clinchfield Chapter of the National Railroad Historical Society magazine "The Jitterbug". The layout was also filmed in 2009 and appeared on Model-Railroad.tv. DVD's are available through their website.